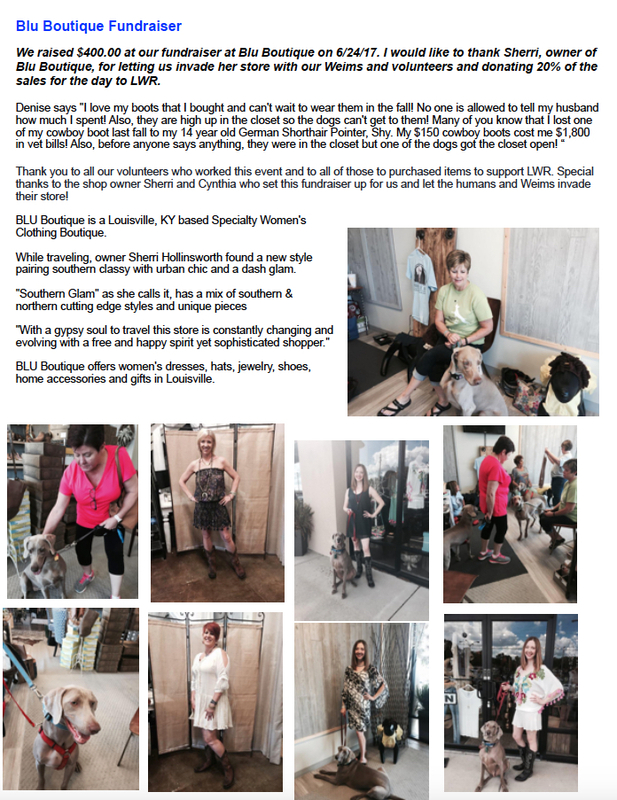 VOLUNTEER | Louisville Weimaraner Rescue Inc.
Weims that are received into LWR’s program come from a variety of backgrounds and situations. Some come from shelters where they may have arrived as a stray and not reclaimed by their owner, or the Weim may have been surrendered to the facility by their owner. Most of the Weims that we receive into our rescue program typically come directly from loving families that can no longer keep them due to a move, divorce, financial setbacks, a death in the family, a growing family, etc. Others come from families that just didn’t know what they were getting into when they bought a Weimaraner puppy! We are all volunteers at LWR. Many of us have full time jobs. All of us have families, responsibilities, commitments, and pets of our own. We could not do what we do on a daily basis without an incredible network of dedicated volunteers, but we can always use more volunteers. To be a volunteer, you do not need to be a current Weim or dog owner – just have a love of animals and the willingness to work with a great network of volunteers located mainly in Kentucky, Indiana, Ohio, and West Virginia. The volunteer form asks for contact information and gives you a list of ways that you can help LWR. Some examples are fostering a Weim, helping Weims get from one place to another, working at special events, and doing home visits that are part of the adoption and fostering process. You can also tell us if you have any special skills that might help LWR’s mission. Upon receipt of your completed application (this could take up to 2 weeks), one of our coordinators will give you a call to go over your application and get you started with volunteering. Submitting the volunteer application and being approved by LWR puts you on our volunteer email list. When the rescue needs assistance, an email will be sent out to all volunteers, or just volunteers in the area of need. If you are able to help, simply follow instructions in the email. If you are unable to help, just disregard the email. 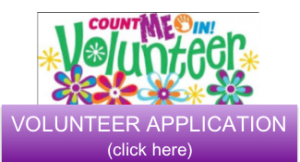 In addition to completing the Volunteer Application, you must complete our Volunteer Waiver, found below. Please print out the waiver, complete it, sign it, and either email it to rescue@louisvilleweimrescue.com, mail it to the address on the form, or fax it to 812-256-0249.